The tribunal rebuked the administration for not tackling the problem over the past year. In a major setback to the Arvind Kejriwal-led government in New Delhi, the National Green Tribunal on Friday barred it from implementing the odd-even scheme till it proves that the measure would be useful, News18 reported. 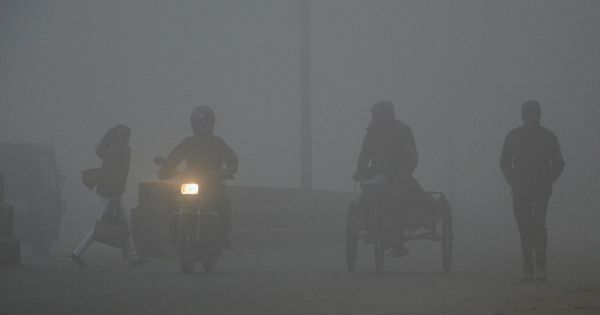 The Delhi government had announced on Thursday that it will implement its odd-even policy for vehicles from November 13 to November 17 in an effort to reduce the dense smog that has enveloped the Capital since Tuesday. If the government cannot prove that the scheme has reduced pollution, the National Green Tribunal said it will stay the move. The tribunal will continue hearing the matter on Saturday. The tribunal added that the government should have introduced this scheme earlier if it had wanted to, according to ANI. “When situation is improving, the government is trying to implement it...This will now inconvenience people,” it said. The odd-even scheme helps cut traffic on the roads by prohibiting cars and bikes from plying based on the last digit of their registration numbers – vehicles with odd digits ply on odd dates, the others are allowed on even dates. The Arvind Kejriwal government has implemented it twice in 2016, once from January 1 to January 15, and between April 15 and April 30. NGT on #OddEven: SC never asked for imposition of this scheme. SC and NGT have suggested 100 measures to curb pollution but you always opted for odd-even. Delhi government will have to justify the implementation of this scheme. The tribunal told the Aam Aadmi Party government on Friday that the Supreme Court had not specifically asked it to implement the odd-even scheme. The court had suggested a hundred measures and asked the government to implement them, it said. The National Green Tribunal also reprimanded the Punjab government for not tackling the menace of crop burning. “Tell us what is being done on crop burning or be prepared to face strict punishment,” it said.